Class Dojo? I. Don’t. Think. So! I am so excited to tell you about something new we are starting in Kindergarten! We needed something to motivate us a little bit with our behaviors in the classroom and I just discovered http://www.classdojo.com ! 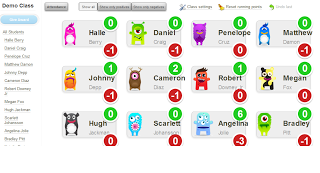 With Class Dojo, each student’s behaviors will be tracked on our classroom smartboard, as well as through the Class Dojo app on an iPad. We have several target positive and negative behaviors; when students display these behaviors they have the opportunity to either earn or lose points throughout the day. At the end of each day, I can look at the students’ reports to see what we need to work on. You also have the ability to log on to view your child’s behaviors. 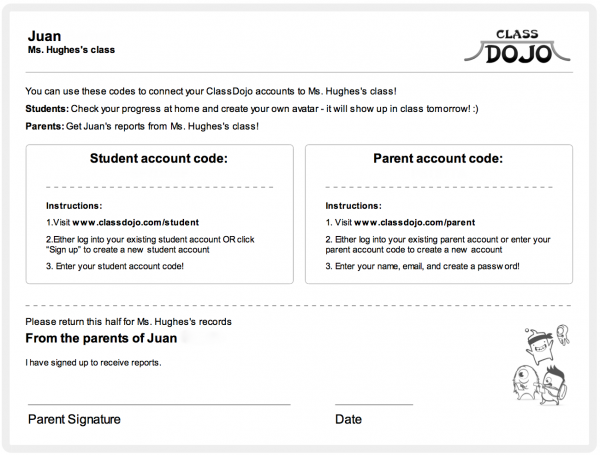 Your child brought home a Class Dojo account code for his or her account. You can use this code to get online and view your child’s day. “bullying” – this we are using to include unkind words and actions, such as not keeping hands to self, name-calling, etc. Disrespect – this includes being disrespectful to teachers, the classroom, materials, etc. I am hoping that this will be a positive experience for all of us and help us to reach all of our goals for the remainder of the year. I ask you to please be patient with me as we get this new program started. The students seem very excited about their “monsters” and about earning points which makes me very excited as well! Today we kept all of the points positive to get acquainted with the system and help the students feel motivated. Please let me know if you have any questions about this new system. We are very excited and I hope it continues to motivate us to make great choices. This is an example of the form that came home from school. It took me only a few minutes of searching the world wide web to discover a never ending parade of testimonials lauding the virtues of this “free” classroom application. 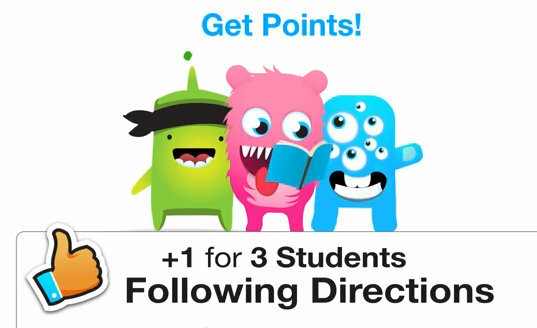 And the more I saw, the more disturbed I was and the more absurd this Class Dojo world seemed. 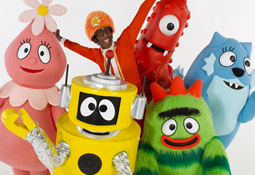 It was like being in a never ending episode of Yo Gabba Gabba! Here is a horrendous little video I found of school children singing a mind-numbing anthem to Class Dojo with their beautiful faces covered by Class Dojo monster avatars. What, in the wide, wide world of sports, is going on here? Having these children create avatars depicting themselves as one ‘one-eyed, one-horned, flyin’ purple people eaters’ just seemed bizarre, and very inappropriate, to me. But then again, I’m just a 40-something curmudgeon who thinks classroom behavior management involves paddles, rulers, and dunce caps (just kidding) and who also loathes the overuse of technology in the classroom just as much as I loathed it when teachers used the overhead projector instead of writing on the chalkboard. I loved the chalkboard. I also found the use of these “avatars” unsettling. I discovered that the origin of the word “avatar” is rooted in the Hindu religion and represents the incarnation of a deity in human or animal form. Did I mention this is a Catholic school? Of course, I realize the little ones, and the teacher, have no idea that their avatar represents anything more than a cute fuzzy monster, but philosophically and as a matter of principle, this has no place in parochial education. But, then again, last year my daughter came home with a Buddah coin she pulled out of a “treasure box” one of the teachers had in her classroom, so I guess this is just par for the course. 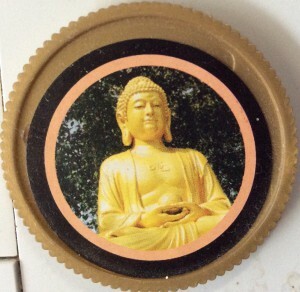 Yes, a Buddah coin. Please understand that I do not believe the teacher who implemented this had put any more thought into it than that it seemed like a cute way to motivate the little “monsters” to behave better in class. But I have to wonder who approved the use of something like this in a Catholic school. And I certainly don’t believe there is anything sinister in the intentions of those who created this application to help distressed teachers manage the unmanageable behaviors of our petulant little ones. But as always, the devil is in the details and we must always look ahead to the unintended consequences. As we all know, there is no such thing as a free lunch, so I had to wonder about offering this application “free” to classroom teachers. Just like many of the free apps we download onto our phones, the “terms and conditions may apply” requirement is often a catch all phrase that permits information about us to be shared with whomever these app folks choose to share it. And I have learned enough to know that in the age of Big Education, Big Data, and Common Core capturing data on our little ones, including psychometric data, is a desirable commodity. I wondered where this data would be stored and who would ultimately have access to it. As I was penning this post, a friend sent me this email she received from Class Dojo, Incorporated. It seems Class Dojo has recently undergone a beauty makeover of their totally awesome privacy and use policies. The updates include lots of good things like not allowing advertising on ClassDojo, and committing to never selling or renting your or your child’s information to anyone for any reason. 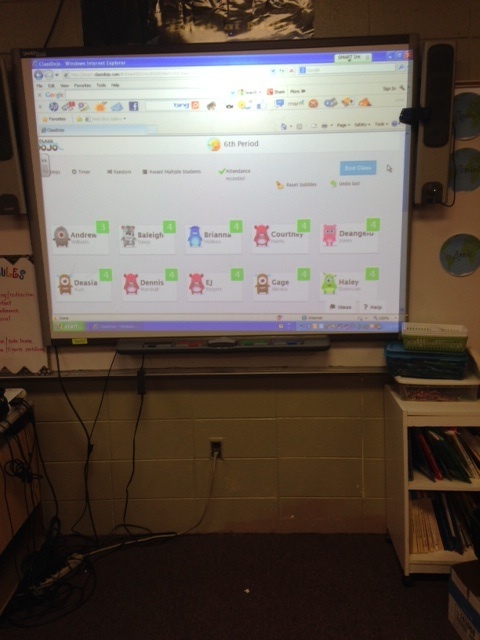 You can read about all the changes in our blog post at http://blog.classdojo.com. This will be effective from April 21st, 2015. We’ve also made a beautiful new Privacy Center to give you a simple overview of how ClassDojo protects your family’s privacy and security! You can find some helpful resources about privacy there for you and your child’s school. Check it out at http://www.classdojo.com/privacycenter. So, I guess they were getting the message from schools concerned about privacy issues. Even though they are doing “good things” like not selling or renting (?) student data, can they give it away for free? Or can they allow “researchers” to access their system? Could schools eventually integrate these behavior reports into the state longitudinal data systems? But, then again, their Privacy Center is so beautiful now, so I guess it really just doesn’t matter. Do we really need less, not more, human interaction? Do we really need more folks obsessively focused on their phones and tablets, especially in the classroom? Do teachers really need daily score cards on each child to know who’s naughty or nice or to track behavior trends? And then there is this enormous “smartboard” (an overhead projector on steroids) that, in our case, gets wheeled in and out of the room. The one our school has takes up almost the whole front of the classroom and displays the colorful array of monsters representing each student. Where is the dignity of the individual child respected here? Here is a 8-minute tutorial presented by a super cool “20-something” explaining the pure awesome-ness of this program. Maybe I’m just being stuck up and/or stuck in the 1800’s, but it comes across as unprofessional and juvenile. And just recently another parent informed me that the spawn of Class Dojo is being implemented in her son’s Catholic school. It is called ClassCraft and it takes Class Dojo to a whole new level. “Real” risks and rewards? In a video game? I find it all incredibly creepy and new-agey. Again, I am sure whoever developed this application had the intention of “making learning fun.” But life is not a video game. But who knows, maybe it will be once this generation comes through the system. I fear we are creating a world of narcissists who are accustomed to instant gratification and who believe they really are the “healers, mages, or warriors” represented by their “avatars” in video game world, before they have even accomplished anything real and meaningful in their lives. Besides, what is ClassCraft doing in Catholic schools???? 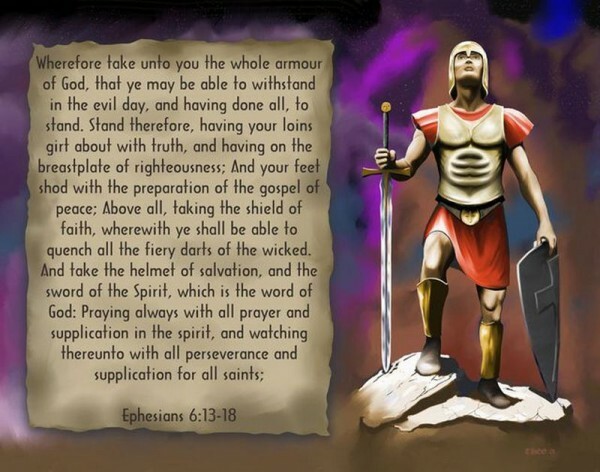 We have real warriors in our Saints, like Saint Joan of Arc! We have a real wonderful counselor “healer” in Jesus Christ! 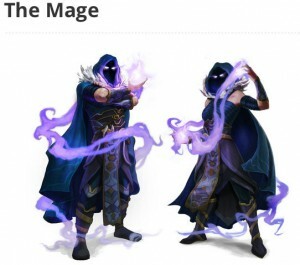 We don’t need mages/wizards wielding magic spells. We have the Almighty One wielding his powerful Word! Going after group mentality? Individual assessments are not useful for them? Believe me, I understand all about teamwork and collaboration. I attended many in-services given by professional consultants who earned big bucks teaching us that there was no “I” in T-E-A-M player and that the word TEAM was an acronym for Together Everyone Achieves More. There are certainly times when this is true and working together and collaboration are valuable experiences, but there are other times when going along with the group can put one in great peril – in more ways than one. In the “real world” we don’t always have “everything is awesome when you are part of a team” collaboration. Besides, do we want children to seek acceptance or to seek truth? Consensus/groupthink does not necessarily lead us to the truth or the “right” answer, instead it can lead us to deem something true simply because people generally agree upon it. Furthermore, we don’t always receive immediate rewards or accolades when we do what’s right and good. Sometimes we don’t get any external rewards at all. Good deeds are still good deeds even if no one is around to praise you for them. 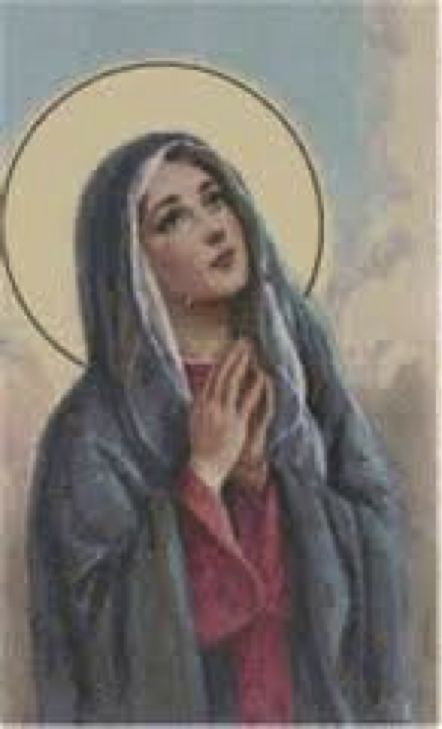 Do either of these new-age applications incorporate authentic Catholic teaching or reference sacred scripture as it relates to how we, as Christians, view and interact with the world? 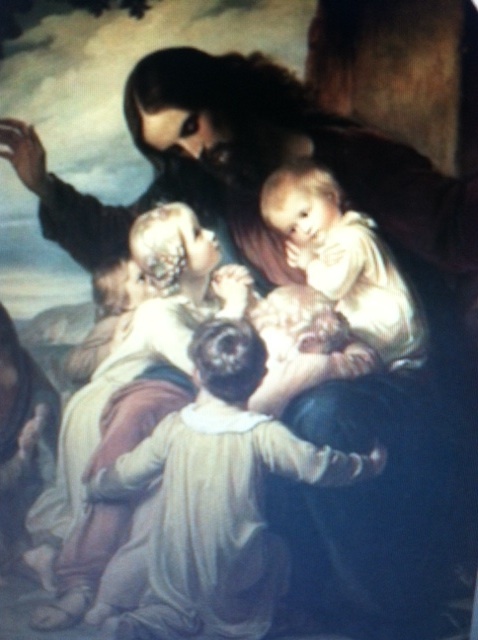 Do things like this lead children closer to Christ and His teachings on what we, and God, expect from these little ones? I realize they get this spiritual nourishment in other aspects of their school day, but I firmly believe, first and foremost, all aspects of their education, including behavior management, should be centered in Christ. Does the evidence show that these types of reward systems really work in the long term to instill into the hearts of little ones the values that lead to good behavior and the development of good character? Do we really need more opportunities to potentially expose personal information and leave children and their parents vulnerable online to data mongers and other third parties, including these so-called “researchers,” not to mention hackers, who have an insatiable appetite for information on the behaviors and attitudes of our children? Will Catholic schools use applications like this to “Monitor the Mission,” as was presented by Center for Catholic School Effectiveness (Boyle) in 2011? This all comes at us at such a fast pace it is hard to keep up. It’s like the whack a mole game, just when you get a whack at one of them, another one pops up. And those of us who question any of this are treated like neanderthals who miss the good old days when students tapped out their assignments using a rock and chisel. 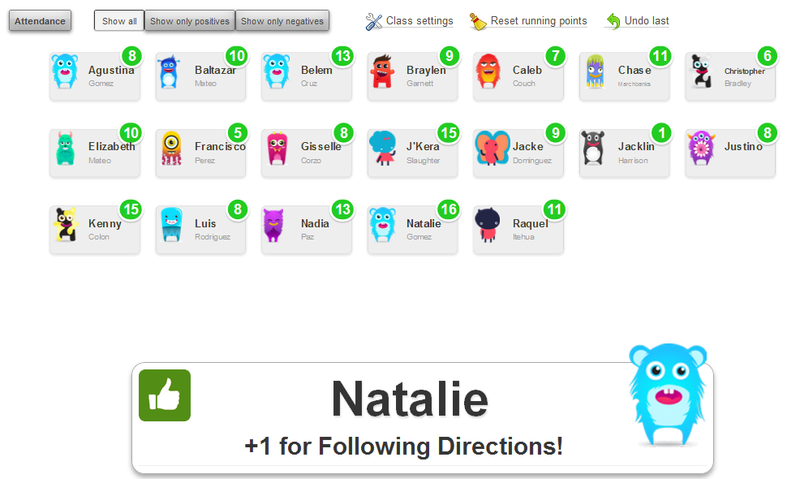 So, what happened to Class Dojo in my daughter’s school? I sent a rather long-winded response to the teacher in which I expressed my concerns, among other things, about student privacy, citing the “Term of Use” and “Privacy” agreements of this application, the fact that my consent was not obtained before my daughter’s account was set up, requesting to know if and how the Child Online Privacy and Protection Act (COPPA) may apply, and objecting to the use of term “bullying” in the manner she described. Class Dojo was subsequently eliminated. I also expressed concern over the fact that this system fails to instill or incorporate scriptural and pastoral teachings to guide these little ones to understand the teachings of Jesus Christ and how we are called to know and love God and to love one another. I am delighted by your article. As a teacher and member of the Senior Management Team, in my previous school, I was a lone voice against this inane nonsense and refused to implement it for my tutor group of 12 and 13 year old boys (who I might add were overjoyed by not having to participate in what they rightly considered a stupid and babyish system). How any school could actually use such a commercialised system as part of their official policy on managing behaviour is beyond me. One can only hope that the very nature of this “trendy” approach will lead to its rapid demise. This is from over a year ago, and this honestly irritated me so much I had to comment. I’m not Catholic and I don’t agree with all of the opinions in this post, but you (“Kat29”) sound like a very angry and close-minded person – you also seem like a bully. Do you have educational experience or knowledge, Kat29? If you did, you would know that it is more than possible to have effective classroom management without Classroom Dojo by showing and telling students what you want and don’t want to see in the classroom, acknowledging and encouraging good behaviour, and acting accordingly and appropriately when you see inappropriate behaviour. Everyone has their own style, but there is no need for the teacher to be tapping away at a cellphone, poking a tablet, publicizing individual merits and demerits on a gigantic screen for all the kids to see. There is no need to create a stupid avatar to be a good student. I don’t believe that the upcoming generation needs to learn like this. There is some wisdom in traditional teaching – so don’t completely dismiss it! Whatever happened to discipline and intellectual and moral virtue, without quick silly gimmicks like Classroom Dojo? Kat29, your ignorance is showing. You didn’t seriously imply that teachers know what’s best for our children, did you? Because that level of superiority is alarming, spoken by someone so immersed in this, they not only drank the koolaid; they’re drowning in it. very wise words, we are a protestant family facing these same issues and I couldn’t agree with you more. thank you for posting. Yes it is quite daunting. Thank you. I am glad to know you are out there. Pax Christi! How much time is wasted documenting formal line skills? The public shaming aspect of this is something I never believed we would tolerate in the United States. Good on you for swimming against the tide of percieved progress. Technological immersion and the dehumanising of our unique, beatiful children is fundamentally evil. Seriously???? I am speechless. This is the most ridiculous article I have ever read. I am a Christian and a teacher who uses classdojo.